You may not need another way to enjoy your favorite chocolate hazelnut spread, but there's nothing wrong with an option for happy hour, right? Place the crushed chocolate hazelnuts into a small plate then set aside. Warm the Nutella in the microwave for 10 - 15 seconds, pour 1/2 onto another small plate. 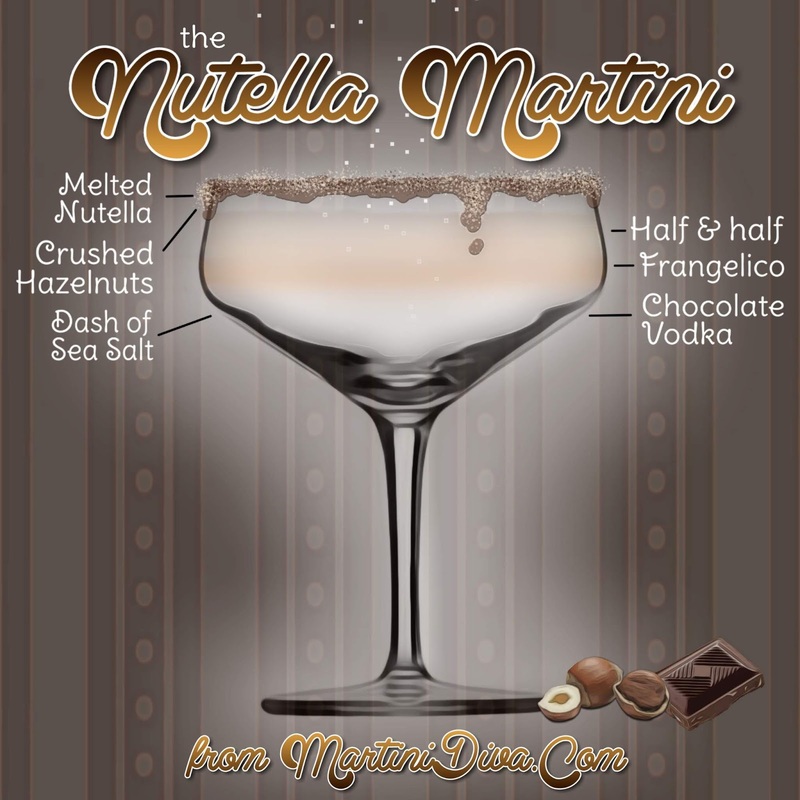 Dip your glass rim in the Nutella, then into the crushed hazelnuts and shake gently to remove any excess. Pour the chocolate vodka, Frangelico and half and half into an ice filled cocktail shaker and shake until well chilled. Sprinkle on the sea salt and serve. World Nutella Day is February 5th.